Papers written for CCA courses follow the MLA format. This page is provided as a quick reference for students when writing. For more detailed information visit https://owl.english.purdue.edu/owl/resource/747/01/. Basic MLA formatting for the first page. MLA does not use title pages for non-research papers. Click image to enlarge. MLA formatting for Bibliography (a.k.a “Works Cited”). Click image to enlarge. Creating the individual entries of a bibliography are easy using the website http://easybib.com/. Homework and handwritten assignments use this format. 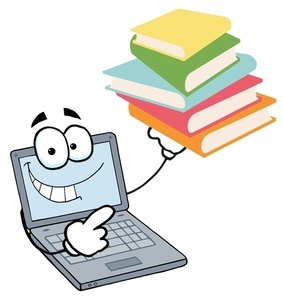 The local library provides an online portal with an abundance of reliable journals, books and encyclopedias accessible from your home/school and organized by age group. Students can have 30 days of free access before parent permission is required. Parent’s can visit any local library to sign the form that will allow their child to continue to have access to the research portal after the 30 day trial period. The Library of Congress also provides many primary documents in a digital format. You can access the LOC at this link https://www.loc.gov/rr/tools.html. Be sure to use quotes and a citation when copying someone’s work directly. If you are putting the information into your own words, be sure not to use the same sentence structure as the original source. Sometimes students think that changing a few words and then putting the source in the bibliography is enough. This is plagiarism… even when you give proper credit. Your teacher is there to help you if you are having trouble. Here is how plagiarism is described in the Student Handbook. In addition to other consequences, the student will receive a “0” on the assignment. Future occurrences could result in failure of the course or expulsion.